Stiff jaw. Chronic headaches. Persistent pain in the ears and neck. All of these are common symptoms of an inflamed or misaligned TMJ, or temporomandibular joint. This is the set of hinges that allows your lower jaw to move fluidly in all directions…at least that is how it is supposed to work. 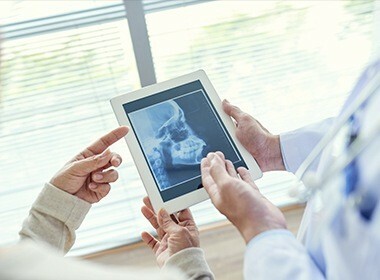 Dr. Salivonchik can help patients identify problems stemming from their jaw and offer solutions that are guaranteed to improve function and provide long-lasting pain relief. Is your TMJ the source of your jaw/facial pain? Give us a call to find out. Why Choose S. John Salivonchik, D.M.D., P.C. 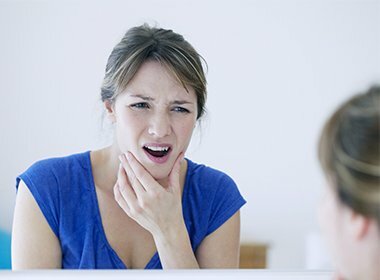 for TMJ Therapy? According to the National Institute of Dental & Craniofacial Research, approximately 10 million Americans are suffering from TMJ-related pain. TMJ issues arise when the two small joints in front of your ears malfunction. Normally, these joints control the smooth opening and closing of your jaw. When aggravated by physical or emotional stress, bite misalignment, or injury, these joints and their associated muscles and nerves become over stimulated, and pain ensues. There is currently tremendous debate over the ideal jaw position. One philosophy that some dentists adhere to is neuromuscular dentistry. It should be understood that this is just one approach to determining the jaw position. It should also be understood that some of the most respected dentists in the world doubt its usefulness. Dr. Salivonchik is experienced in evaluating and treating this widespread condition. He’ll perform a comprehensive examination of your head, neck, mouth, and jaw to isolate and treat the source of distress with TMJ therapy. 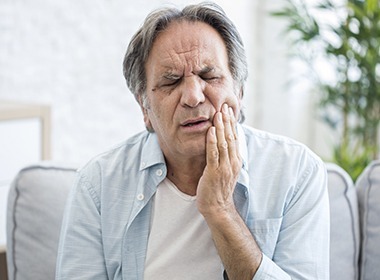 Our patients with TMJ disorder experience great success with oral appliance therapy – a personalized, non-invasive treatment to alleviate jaw joint pain and renew healthy function. 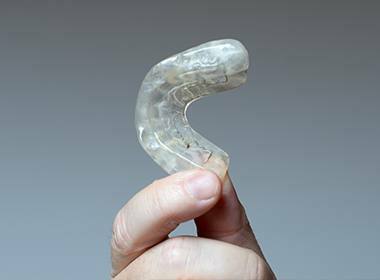 Your custom-made oral appliance, or nightguard, will fit comfortably between the top and bottom teeth in the front of your mouth and hold your jaw slightly forward. As stressed jaw muscles relax into their ideal arrangement, tension releases, and nerve impulses signaling pain decrease. The oral appliance also can reduce the clenching and grinding that often accompanies TMJ disorder and is so damaging to natural teeth and dental restorations. A three-month regimen of nightly oral appliance therapy alleviates distress for many patients, although some patients require longer-term treatment. To complement your oral appliance therapy, we’ll provide information on stress reduction, as well as diet and lifestyle changes, to inhibit the return of TMJ pain.